Next Post > Bags bags bags! Coloring books are definitely have a bit of a renaissance right now and I am totally on board! I love the variety of styles, themes and moods available making it easy to have the perfect book for any mood or aesthetic. Whether you use your palettes for inspiration or you just color to unwind at the end of a long work week, we have a coloring book for you! Best part? They’re on sale at 40% off with the rest of our books! Twenty-four drawings of birds, horses, fish and other animals in a range of elaborate styles, this is one of my favorite books. There’s a page of birds tucked in to foliage for a neat optical effect and fancy horse that spans an entire page. I would absolutely tear one of these drawings out to hang on my fridge once I finished coloring it in! The pages of Extreme Wonders Color Art are chock-full of full page tiling motifs! 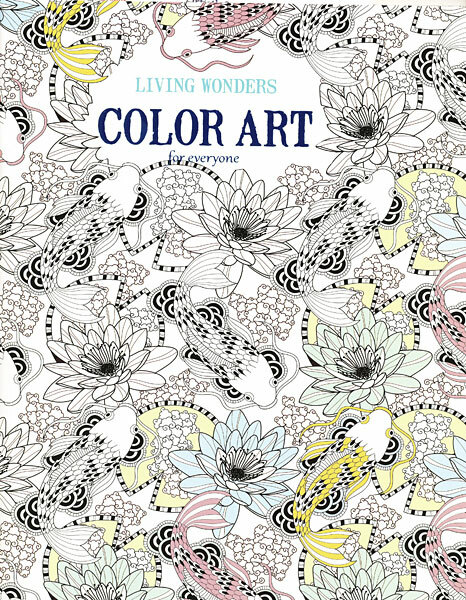 This is a great book to play around with color palettes when coloring in all of the tiny details. I particularly love the page of little houses nestled together, it’s so cute and geometric! Settle in for a long weekend of “me time” with our Chillax Craft Kit, the perfect companion for a quality Netflix marathon! 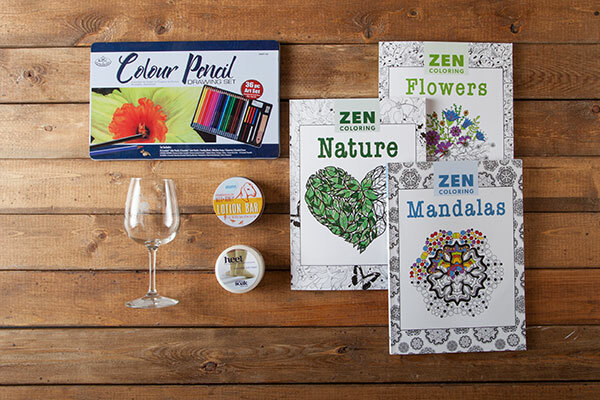 This kit comes with three coloring books, a box of lovely colored pencils, foot and hand cream plus our favorite, sassy Two Sips Wine Glass to top it off. 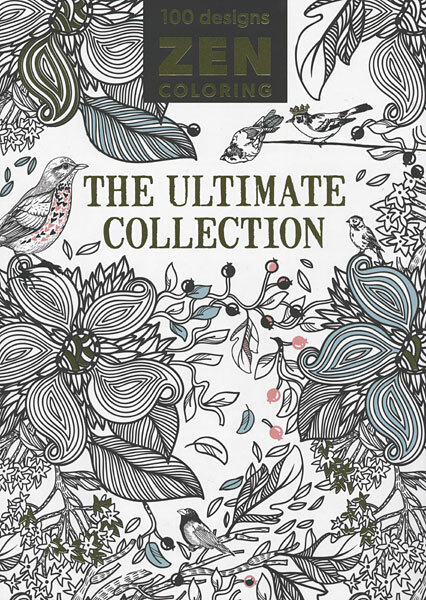 Combined, these three coloring books contain 288 pages that are sure you keep you occupied and entertained. What is your favorite way to color? Do you use it to de-stress or for inspiration? Let us know in the comments! 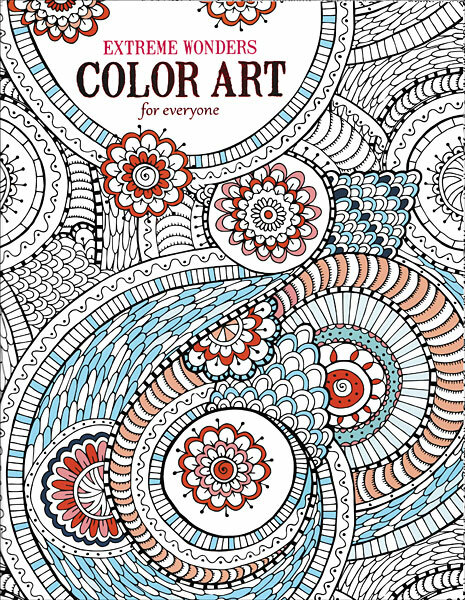 I have a coloring book like this and I like to color it because its beautiful, plus its fun to experiment and combine color palettes together and find what I like.